Richard Blomgren, 30, was arrested for allegedly violating the Massachusetts Drunk Driving Laws after he crashed his car into a Rehoboth pizza place last Sunday night. Blomgren was charged with Operating Under the Influence of Alcohol; Failure to Stop for Police; Negligent Operation of a Motor Vehicle; and Malicious Destruction of Property. According to reports, Rehoboth police attempted to pull over Richard Blomgren as he was allegedly speeding and passing in a ‘no passing zone’. 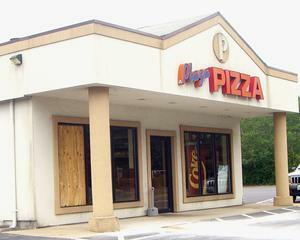 Blomgren, however, allegedly accelerated and served into the parking lot of Plaza Pizza Restaurant, and eventually lost control and crashed through the restaurant. There is no indication at this time what the specific basis the police had for the issuance of the OUI / DUI charges, including whether or not Richard Blomgren submitted to any Field Sobriety Tests or a Breathalyzer Test. Notwithstanding the charge of Operating Under the Influence of Alcohol, prosecutors in this case will have a more difficult time sustaining the charge of Malicious Destruction of Property. In order to convict a person for the charge of Malicious Destruction of Property, the Commonwealth has to prove not only that the defendant injured or destroyed the property of another person, but also that he did so “willfully” and with “malice.” In that regard, this crime is a ‘specific intent’ crime, meaning the government has to prove, beyond a reasonable doubt, the defendant’s intent. Boston DUI Lawyer Lefteris K. Travayiakis is available 24/7 for consultation on all Massachusetts Drunk Driving Crimes, including OUI 1st Offense and Reckless Driving.